VisStudio records multiple Streams in Gassvalley HQ and offers XML Multicam Project transfer to EDIUS. 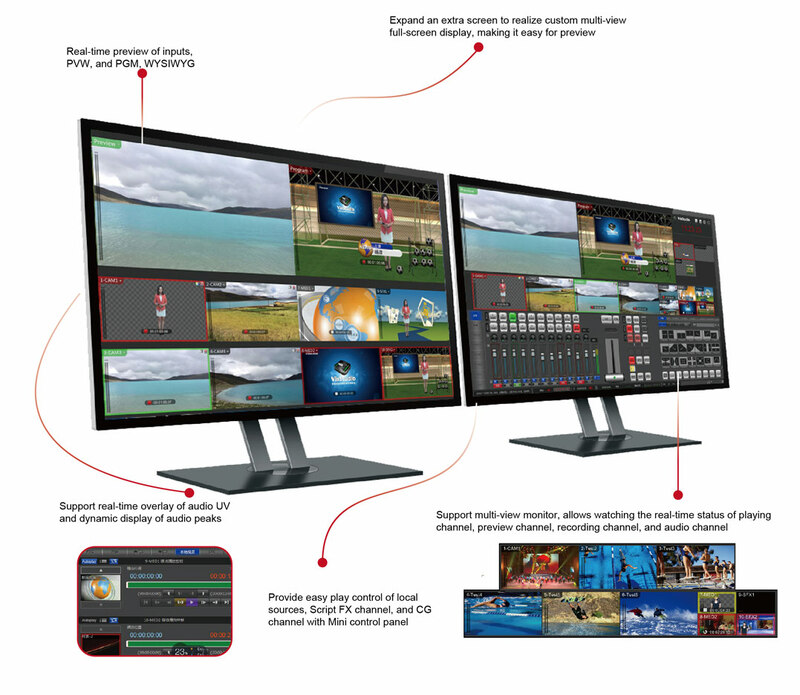 Based on Windows 64Bit OS, VisStudio is a video & audio switching system of broadcast quality. 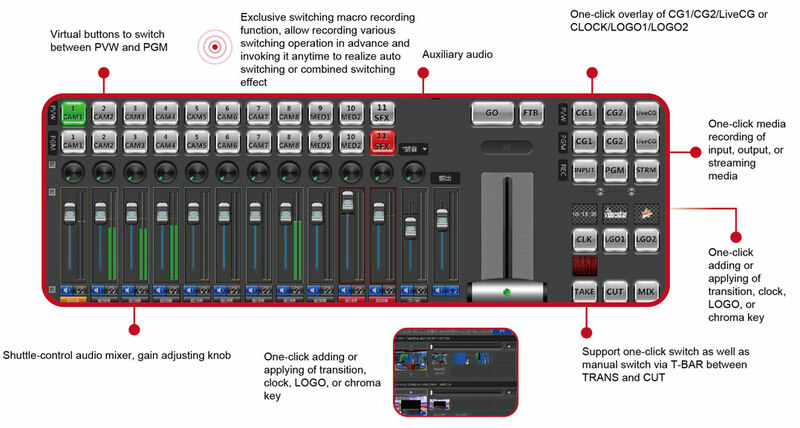 It features in video & audio switcher, audio mixer, overlay of multiple local or external CG, overlay of logo and corner marker, media recording, streaming, chroma key, virtual studio, etc., making it a perfect live production substitution for various equipments in traditional studio. VisStudio can be widely applied in various shows, sports rebroadcasting, wedding recording, and many other occasions. * Varies by boards or computer configuration user chooses. Videostar VisStudio is delivered as Turnkey System. Please contact your local reseller for more information.